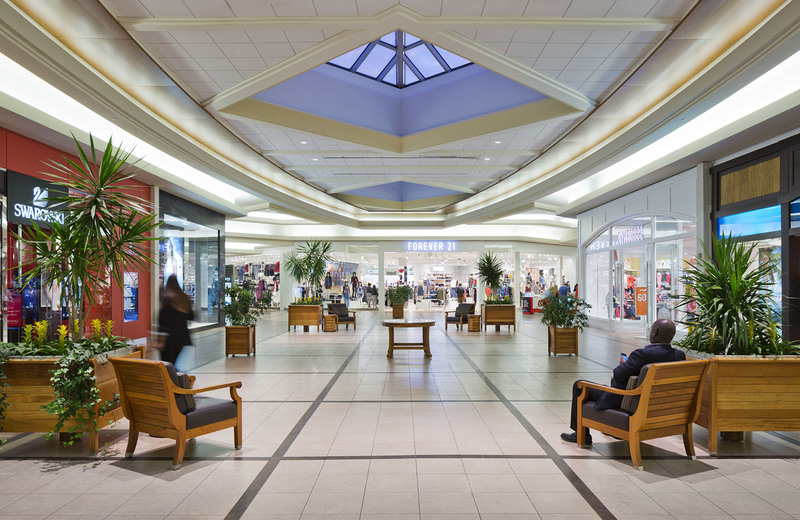 Another shopping mall, this time Fairview Park Mall, Kitchener for Cadillac Fairview. 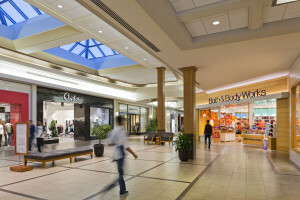 In the last 12 months I have photographed a lot of malls across Canada from Vancouver to Montreal. From a photographic viewpoint mall lighting is far from ideal involving time consuming compensations in post depending how fussy you want to be, or allowed to be, because it always comes down to the budget – you can only spend so much time per image correcting local colour and exposure variations on a large shoot. To a certain extent you have to make them all acceptable but prioritize and spend more time on the killer images. Shooting around dusk gives the most pleasing effect, the mall lighting starts to pop. Unfortunately the window of opportunity is alarmingly short! 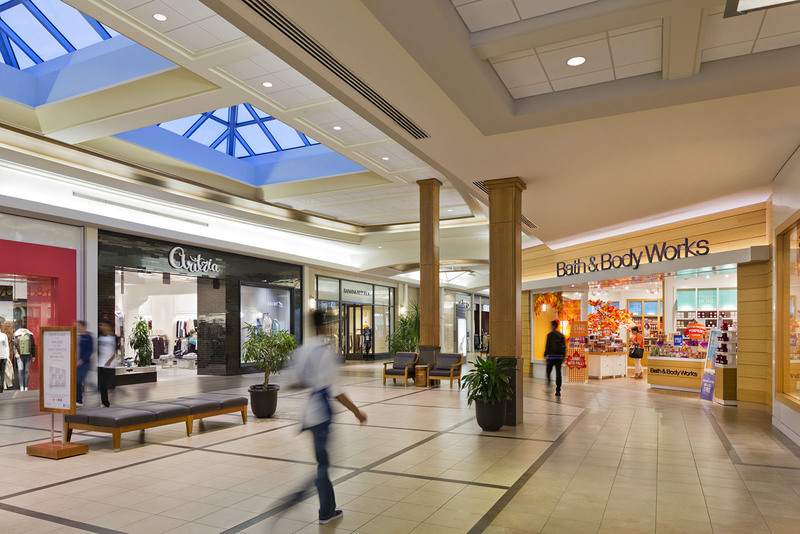 I have a routine which involves several hours of scouting viewpoints, pre visualizing lens focal lengths and straightening the ‘set’ as much as one can in a mall, so that when the light is right I am ready to hit my marks. If the schedule and budget allows it will sometimes be two dusk sessions.